An animal shelter has been inundated with requests to adopt a puppy that was snatched and dumped on a building site by a hawk. 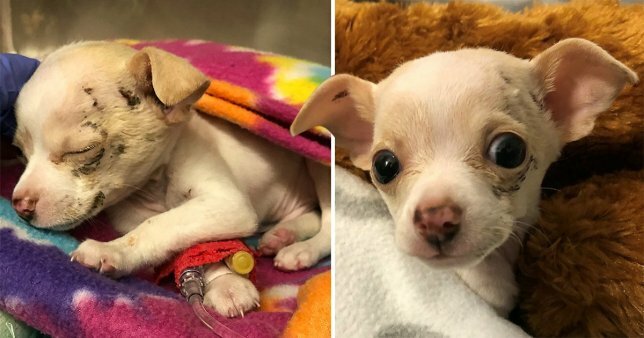 Officials at the Austin Animal Centre in Texas say they’ve been bombarded with adoption requests for the six-week-old chihuahua. The cute dog miraculously survived being grabbed by a hawk then dropped on a building site. ‘We’ve received absolutely tons of adoption applications for him and his foster has narrowed it down to a few candidates, so we’re no longer accepting applications for him,’ said Jennifer Olohan, spokesperson for the Austin Animal Center. ‘We have some really amazing families to choose from for him, but we hope people will come adopt one of the hundreds of other pups we have at our shelter who are still looking for their forever home,’ she added. The puppy was dropped on the construction site on 11 January, and was found after construction workers in Austin heard yelping and began to search the site for the distressed animal. They realised that the cries were coming from above them in the sky. Soon afterwards they spotted the pup, who had been clutched in the claws of a hawk flying overhead. The hawk dropped the pup and the builders rushed to his rescue. 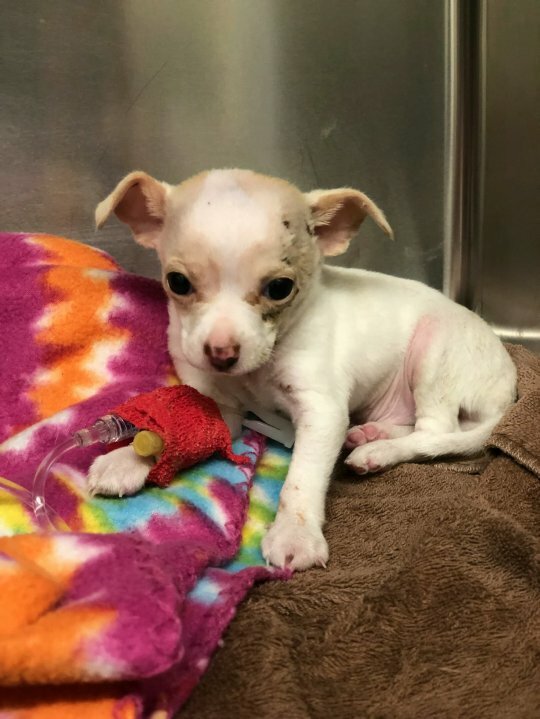 The tiny chihuahua was then transported to a local vet, but no owner could be located, so he was transferred to the Austin Animal Center. 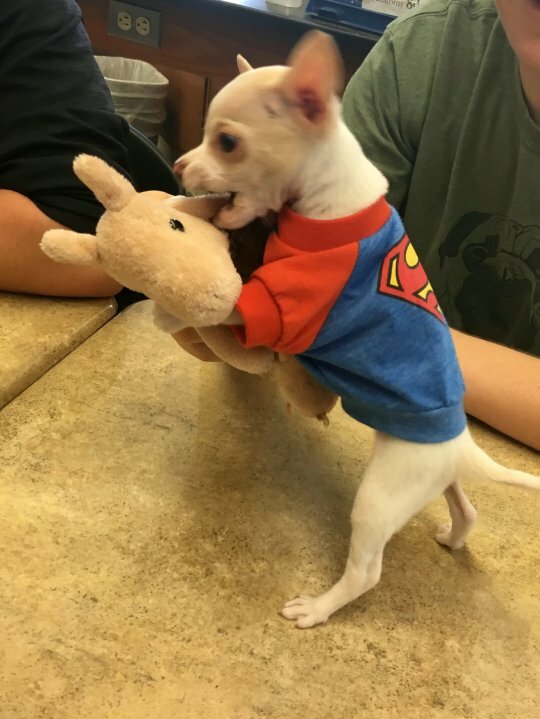 At the shelter the pup was named named Tony Hawk, after the famous skateboarder, and given a little Superman sweater. Remarkably Tony Hawk’s injuries were not too severe. ‘He had some cuts on his little head and shoulders from the hawk’s talons, but that was it really,’ said Jennifer. ‘Despite his large fall he hadn’t suffered any broken bones or internal injuries at all.’ Seven-week-old Tony was treated for his minor wounds and placed with a loving foster carer until he can be given a more permanent home.